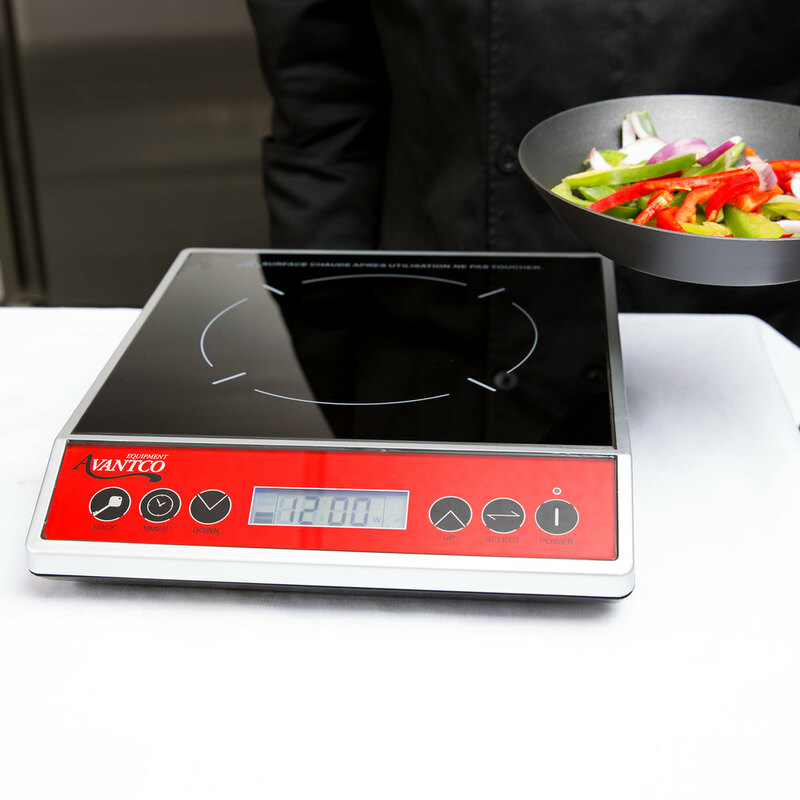 This Avantco ICBTM-20 countertop induction range delivers superior usability and performance for all your cooking needs! 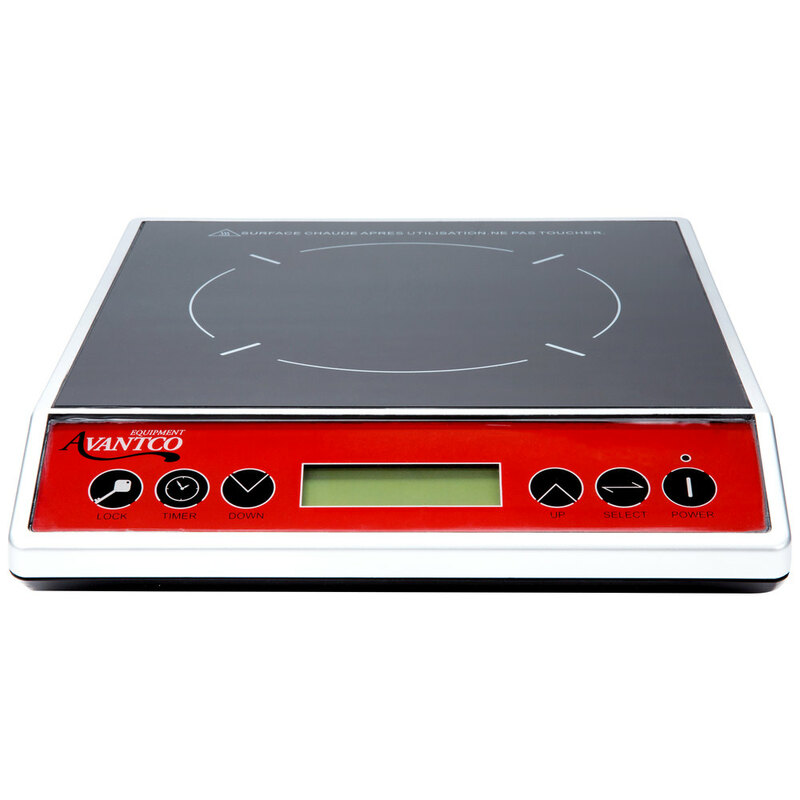 Perfect for display cooking and other light-duty applications, this induction unit is safer than conventional countertop ranges since there's no open flame or exposed burner. Plus, its innovative technology allows it to heat up in as little as 1 minute. For added convenience, a built-in 170 minute timer and lockable keypad allow you to maintain total control over your culinary creations, and you can cook using either a power level / wattage mode (500-1800W), or a temperature mode that ranges from 140 - 460 degrees Fahrenheit. There are 10 different power levels between 140 and 460 degrees Fahrenheit. 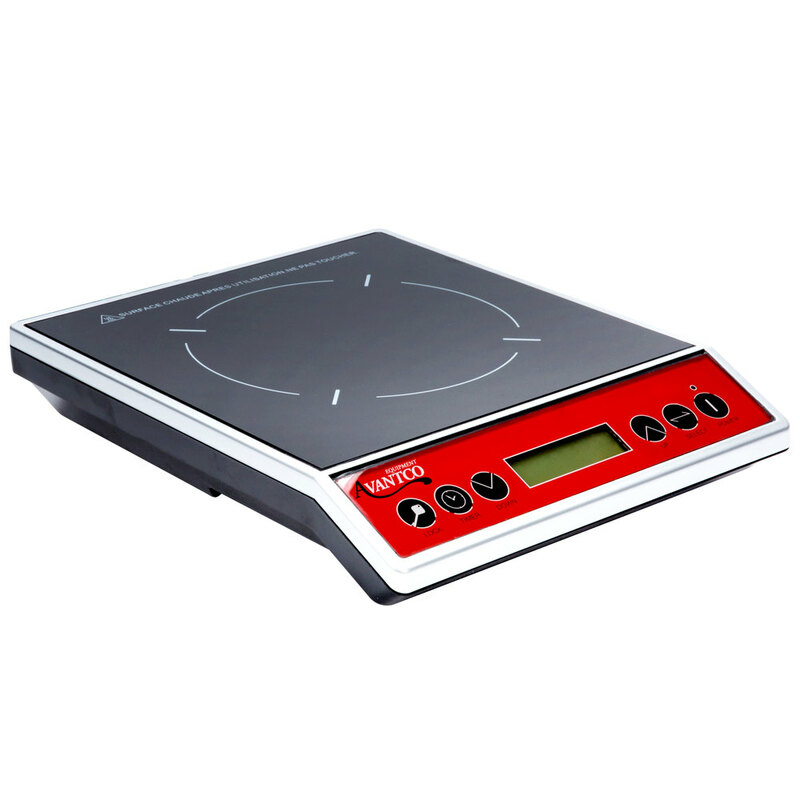 Simply place an induction-ready pan or pot on the cooking surface, turn it on, and choose your power level! - Accepts induction-ready pots or pans with a bottom diameter of 5" to 8"
This guy heats things, which is what we wanted it for. Seems to work just as well as its more expensive brethren. Good deal for the money. This is a awesome induction cooker. Super slim design so it stores away really easy. The surface could not get any easier to clean. Recommended! 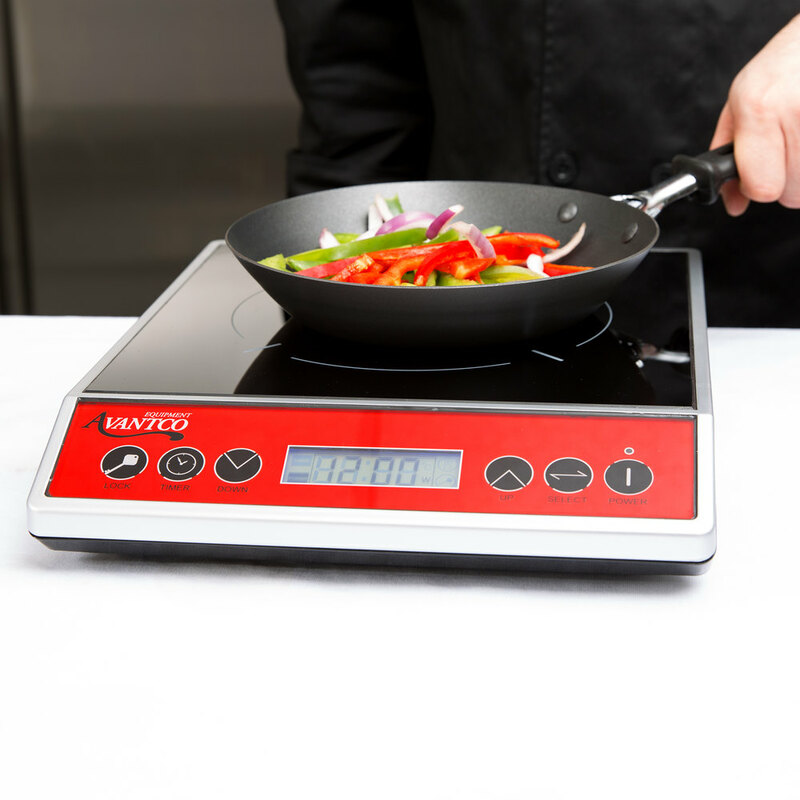 Loving this induction cooker, powerful enough for our needs, surface is easy to clean. Been using it for 5 months and doing great so far. This unit is great for basic use. The Price was very reasonable. After using it several times. I wish I would have just bought the better model. The ICBTM-20 unit is very nice but I started to have uses for a larger pot. This unit is only good for a maximum of 8". The 10.5" size limit on the IC1800 is what I wish I had bought. My next buy will be the better unit. I really like this unit and it works great for what I am using it for. I also like the automatic shut off options. These are high quality for what you pay. I am very happy with this item. We bought one at first then another shortly after because it worked so well. We are limited on space and these can sit under the work table when not in use. They heat up and cool off quickly. Really like them. It's pretty good, but the sides are just cheap plastic so if your pan happens to move be careful cause it will melt it bro. I use this induction range constantly. I like it for the speed that it heats, and different options for temps. But, it is a little annoying that it beeps easily if the pot is slightly bumped off the heated area. Also, when I first opened it, several aluminum pans did not work (I know not all do..) So now I exclusively use pots that say designated for induction or have the little induction symbol (many cheap ones available at other stores). It is also a little frustrating that the flat buttons are so sensitive. I often hit one and turn the range on just while cleaning. Overall, I am pleased with the range, and it is very useful, it just has several annoying features. This is a great piece of equipment for our concession trailer it is small enough to not take up a lot of counter space but gets the job done. This induction range is great. We use it when we need a little extra stove-top space, or for events, and it works great. Just remember that certain pans don't work on it, and not to use anything wider than the surface. This induction range is awesome. Turns off when nothing is on it for safety, which is great. Built in timer is also nice. Has held up nicely over the years. 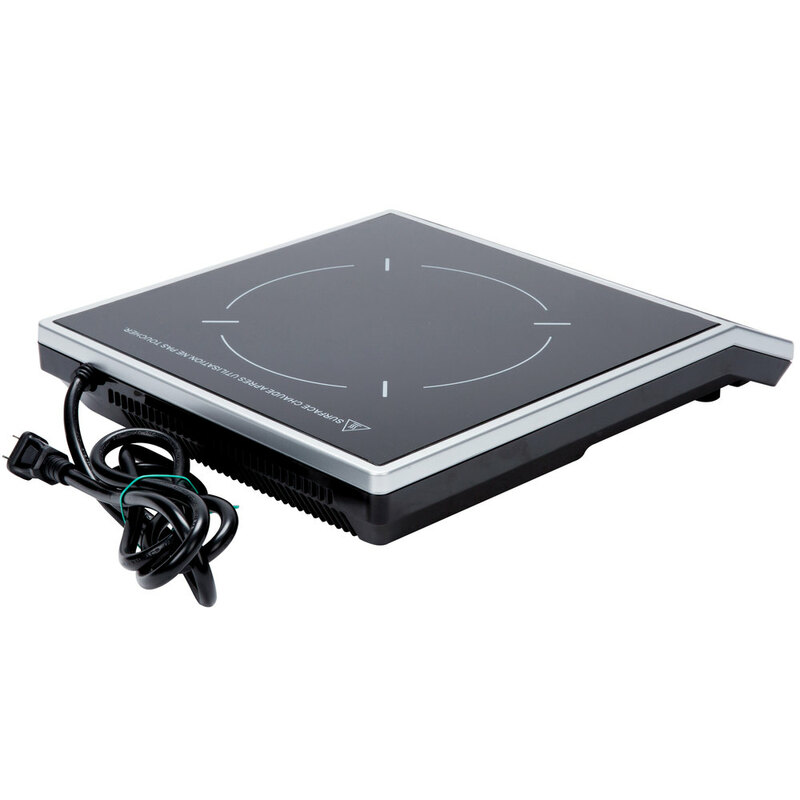 Avantco ICBTM-20 Countertop Induction is truly a great addition, It is fast and effective. This range was a great addition to our kitchen. No regrets whatsoever. We love this!! We actually purchase two because it is so fabulous. Provides us the opportunity to make soup, clarify butter, and perform other tasks without having to have a stove top in our small kitchen. For the price paid it is a good unit. Heavy weight keeps it in place well and the temperature gives you precise heat. If it holds up for a while it will be worth every penny. great size for catering events, kitchens and homes. gives off alot of heat. the sleek finish makes it very appealing for those high end event. we use this alot in our action stations at catered events. Love this induction cooker. We use it for making oatmeal at our coffee and tea shop and it works a charm. Bleeps when hot and there is no pot n it which is very good. This is the perfect cook top for our store. We only use a burner for select items, and this allows us to have a commercial grade electric burner at our disposal when and wherever we need it. Not to mention the unbelievable price point! Avantco has been a great brand to use in our restaurant. This product is very durable, can deal with heavy use, and is very inexpensive. I recommend this product to anyone operating a restaurant that doesn't need a complete stove and needs to save space. We purchased two of these about seven months ago and they've both held up well, no issues with longevity. My one complain is that the silver border surrounding the burner is plastic, so if your pan isn't nicely centered you can and will melt the plastic along the edge. Once we figured that out though we've been careful to keep pots and pans in the center and not use oversized pots. This things is great. We have a lack of space and putting this away and back out again helps save space. Cooks evenly and has saftey features. We have been using this everyday for months and so far, so good! Easy to clean/maintain and perfect for our kitchens limited space. Would recommend this for light cooking and small areas although we have been using our pretty heavily! I have had this product for about a year now and it still works great. It beeps at you to let you know its on when there isn't a pot on it. That is slightly annoying sometimes, but is also a good feature to have so it doesn't get left on accidentally. Another awesome product! It takes limited space. You could stow it away when it's unused. We used it often to teach our elementary kids how to cook such as Dr Seuss Day, kids fried their own egg. great item, reasonably priced. as a caterer, with places where open flames are not allowed, this is perfect.I would highly recommend to anyone looking for a portable induction range. Love this product! It takes up no space at all and it was the perfect solution to not having a cooktop/range in our little bakeries! This is my go to item in the field. It will boil water or anything liquid fast so within minutes and can quickly bring something up to temp. 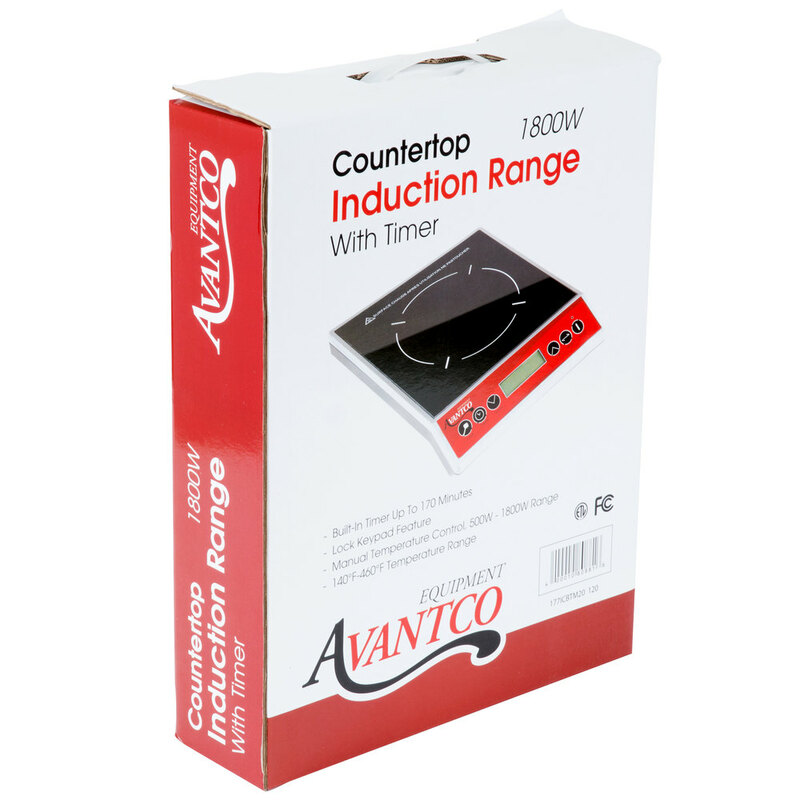 Avantco Countertop Induction Range / Cooker is built very heavy duty. We have quite a few customers choose these over a standard Range / Oven. This countertop induction cooker is very handy, it's a bit noisy but works pretty well, it heat pans very quickly and boils water in record time. This counter top induction range / cooker has been excellent so far. It is easy to use and heats up quickly. It is light and easy to store away when it isn't needed. Solomon G. from E & T 15th Ave. Corp.